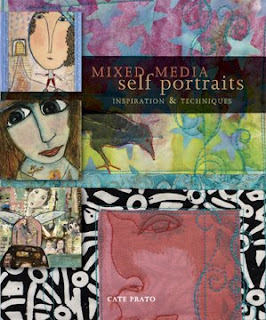 Firstly, check out this great book--Mixed Media Self Portraits--by Cate Prato of Quilting Arts/Cloth Paper Scissors. I have a number of little art projects in it and it's a beautiful and inspiring book. Cate did a great job! It's now available on the QA site or from your favorite vendor. Secondly, to celebrate all of the fun book projects I've been involved in, including my own, I want to give you my art stuff. My studio looks like it was hit by a tornado. I've isolated the excess art supplies and I'm going to be divvying them up. Some are on ebay (more listings soon), but I've got LOTS of paper/ephemera/bits/odds and ends and artwork that I need to send out into the world. I've got a lot of small padded envelopes and I'm going to start stuffing them with goodies. IF you want a grab bag of artsy goodness, simply send me your snail addy and I will make something magically appear in your mailbox. These are all *treasures* to me and I hope they will brighten someone else's day. HAPPY ART PACKETS ARE NOW GONE. I just ordered that book from Amazon an hour ago. I was hoping it would be great. you are just one busy woman! Kelli: I LOVE your work. 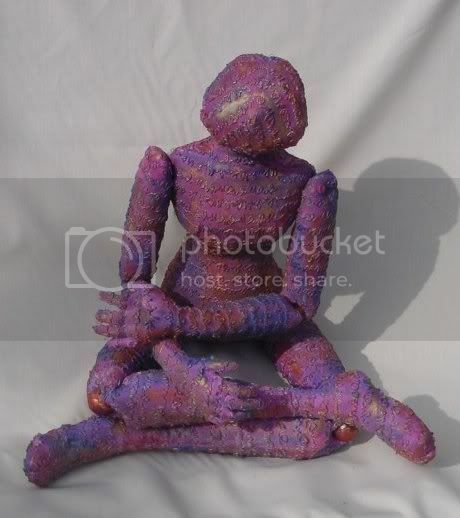 My favorite from the book are your dolls! Wish you lived in my neighborhood...but then I'd do art all day and never get any work done, and probably forget to eat. ArtSpark Winter Tutorial - Whimsical Spool Garland & Giveaway! !